The general membership of the party is particularly animated about the question posed by a certain Gibril Conteh, because it was made in the presence of the Leader of the APC in Parliament, amidst loud and round applause from the audience present. Freetown Thursday, December 6, 2018 – The secretariat and general membership of the Sierra Leone People’s Party are concerned about a veiled threat contained in a video clip, in which an official of the main opposition All Peoples Congress (APC) United Kingdom branch asked the party’s leadership when and how they hope to get rid of the democratically elected president of the Republic of Sierra Leone, His Excellency Julius Maada Bio. The SLPP respects the right of every individual to free speech, movement, and association, and will do everything to protect it. But when such rights become inimical to the interest of the state and a sitting elected president, we consider it a national security issue that should be addressed with alacrity. His Excellency President Julius Maada Bio has a five-year mandate from the people of this country, and it ends in 2023. An attempt to ask how and when he will be gotten rid of is considered a state security issue. For the Leader of the party in Parliament to countenance such a question and take part in clapping for it, smells sinister. As a Candidate and President, Bio has come under several attacks from the APC, before and after the election. This latest threat should be treated with the seriousness it deserves. 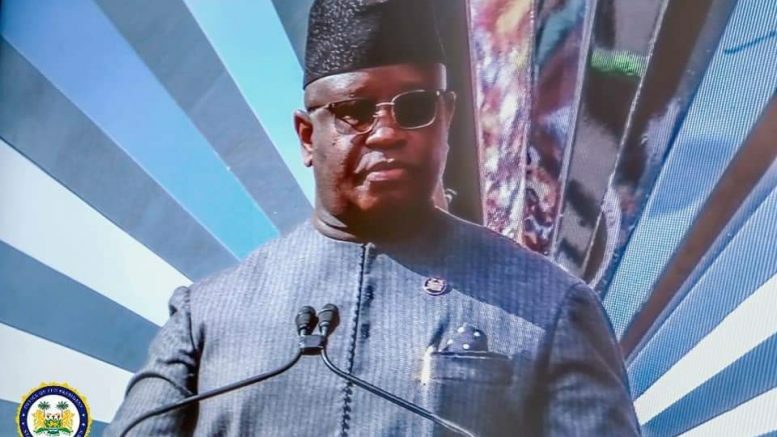 Be the first to comment on "APC Threat To President Bio And Sierra Leone"